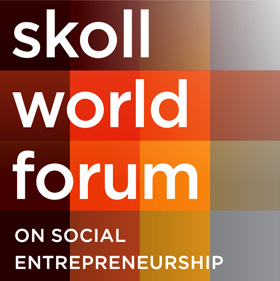 This article was originally posted on the Skoll World Forum website. The single most important thing we must do if we hope to achieve the Health MDGs it to sharpen our focus on monitoring and reporting – and specifically, to embrace imperfect data. In order to know where we are going, we must do a better job of knowing where we are and where we are likely to end up. To the best of our ability we must know whether we are “on-track or “off-track” in order to make the adjustments needed to get to the finish line. In public health, there are myriad interventions, across many countries, and involving multiple players. There is no “command and control” system, especially as decentralized decision making and true “country-ownership” – rightly – take hold. Some might argue that this makes it difficult to monitor and track-progress in real-time. As a result, data are often reported with over a year’s delay and used to “report-up” rather than be used at local levels to inform local decisions. I believe we must get more comfortable with imperfect, but faster, data that can inform our decisions and actions right now. We are in the race of our lives, and timely information can literally mean the difference between life and death, enabling all of us to make the needed management decisions to adjust and pivot quickly in the intervention areas and regions of greatest need. The value of this approach became clear to me through my work in malaria control, and specifically from Ray Chambers, who has constantly encouraged all of us to obtain the best possible information, make a decision based on it, move forward, and be ready to rapidly adapt if circumstances change – so long as we were constantly moving forward. The goal for malaria is clear – protect all of those at risk from malaria with insecticide-treated mosquito nets and effective treatment, aiming to reach “near-zero” deaths by the end of 2015. With 1.2 million people (mainly African children) per annum dying several years ago, we are close to 600,000 today, on a path to reach fewer than 100,000 dying annually by 2015. At the Office of the Special Envoy, and working with our partners such as the World Health Organization, UNICEF, and others, we “triangulate” different sources of data – including data from mosquito net manufacturers themselves – who provide us with monthly production data. After all, who knows better where their products are than those who manufacture and sell them? This sort of information also empowers leadership and encourages accountability. The African Leaders Malaria Alliance, better known as ALMA, is a coalition of 49 African Heads of State committed to defeating malaria. The developed the “ALMA Scorecard for Accountability and Action”. It’s a simple but powerful tool – think boxes that can be green, red, or yellow. It tracks country-by-country, key indicators such as access to mosquito nets and percentage of commodities financed , and provides easy-to-follow indication of whether countries are on track, stalling, or off track. The tool guides and inspires leaders to remain focused on achieving their goals, and provides a platform for them to discuss progress and overcome bottlenecks as they emerge – for instance, by sharing lessons across borders of how difficulties have been overcome or progress accelerated. Earlier this year, the Special Envoy accepted a broader mandate from the Secretary General, focused on financing and achieving the broader health Millennium Development Goals, applying a similar approach as we have done for malaria, while recognizing the significant differences across the space. We are focused on concrete, and quantifiable targets, across child health, maternal health, HIV/AIDS and TB – along with our continued focus on malaria. With a “multidimensional chess board” in front of us and in front of implementing countries, we are working with our partners across the system to understand how all of these efforts are adding up, and to identify where extra support or coordination might be needed. In order to help us focus, we have taken an approach largely focused on the “essential commodities” identified by the UN Commission on Life Saving Commodities, chaired by President Goodluck Jonathan of Nigeria and Prime Minister Jens Stoltenberg of Norway. We must collectively track these commodities as they and their related services are scaled-up, and calculate on at least a quarterly basis what impact they are having toward our targets. This data should not and cannot replace global and more accurate estimates, but it should complement them – allowing for decision making on a much faster frequency. A few insights have already become clear. First, at the current rate of progress – using the approach of “Annual Rate of Reduction” developed during last year’s groundbreaking “Child Survival Call to Action” led by the Governments of India and Ethiopia together with USAID and UNICEF – we are off track to reach our child mortality goal. Specifically, we must move three-times faster than the current pace, or calculated in terms of lives to save, save 2 million additional lives that are currently not on pace to be saved. Second, our progress is uneven, meaning that certain commodities and certain areas lag behind. Finally, we can clearly see that our overall success depends disproportionately on a few key interventions in a few key geographic areas, such as reducing deaths from diarrhea in Northern India. Each of these insights suggest specific direction for timeliness and intervention. The NGO, Save the Children, has embraced a similar approach in their impressive new report, “Accelerating Progress Toward the MDGs – Save the Children’s Role and Contributions.” I encourage everyone to read it, as they have laid out a clear roadmap for saving the lives of 400,000 children (of the 4.4 million we need to save) between now and end 2015. We all need to think along these lines. I realize that there is sometimes a tension between timeliness and accuracy. We have found that timely, if imperfect, data are very useful as long as one is willing to pivot as needed when better data come along. In his book, “The Innovator’s Dilemma”, Clayton Christenson describes how in a rapidly changing environment, great companies fail even with good management. One reason is that “good management” requires a high quality of evidence before it can act, but in times of rapid change, data for new opportunities is always imperfect. I believe that our success in achieving our targets depends on our willingness to act decisively, using as much data we have – both perfect and imperfect – and our willingness to stay focused on our target and adapt whenever required. We’ve learned from our efforts in malaria that big, bold goals – treated as deadlines – are what we need to enable large scale change. Pair that with an obsession with tracking and an all-inclusive partnership, and we have more than a shot at preventing an incredible amount of needless suffering.